Dawn & Graham McQuillan welcome you to Crossways Guesthouse, in the Wiltshire town of Westbury, home of the famous White Horse, situated halfway between the beautiful cities of Bath and Salisbury, with excellent bus and railway services. We are also only an 8 minute drive away to Longleat Safari Park. Westbury town centre, with its restaurants, pubs and supermarkets is a few minutes walk away. Crossways offers 4 comfortable en-suite rooms, (2 on the ground floor) all rooms are equipped with flat screen tvs, a mini fridge with complimentary bottled water on arrival, tea/coffee making facilities with biscuits, hair dryer & toiletries. Complimentary wi-fi is available throughout the house. Ample parking in our on-site car park, and all guests are provided with their own keys, so are welcome to come and go as you please throughout your stay. 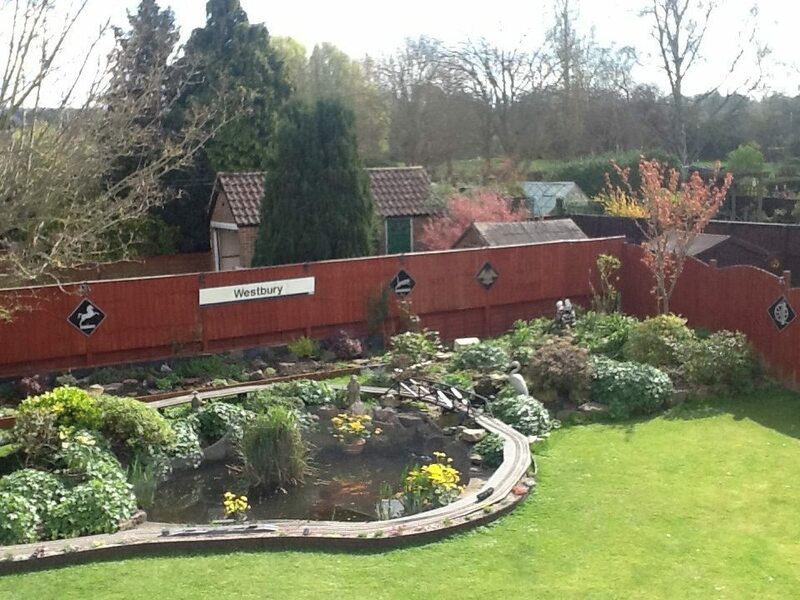 Crossways is a non-smoking establishment, but guests are welcome to enjoy their cigarette in our beautiful gardens, where there is plenty of seating, overlooking our new garden o-gauge railway, which runs over a waterfall. Sometimes you will find wild ducks splashing around in the pond. We offer all our guests a breakfast menu. We offer a variety of options which include fresh fruit, cereals, yoghurts, fruit juice, and traditional cooked English, with bacon and sausages sourced from our local butcher. 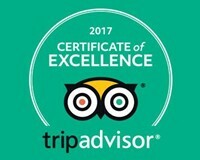 We are very proud of our Trip Advisor certificate of excellence awarded for 2015 and 2016. Please check our reviews. Whether your visit is for business or pleasure, be assured that we will take every care to ensure your stay is as enjoyable as possible. 01373 822379 for best prices! “I stayed here before an assessment and it was extremely comfortable, warm and clean. Everything that I could have needed and wanted - including the owner ironing a shirt and booking a taxi for me in the morning! The shower was perfect, an ensuite, and the breakfast was delicious." “As well as an absolutely fantastic breakfast both mornings, we found the room to be spotless and warm. The owners are both lovely people as well! All in all we can highly recommend the place and we will stay there if we are in the area again"